What is the best way to deal with an emergency? In general, it is recommended that you stay calm. Of course, that is much easier said than done when the adrenaline is coursing through your veins and fear and shock have overtaken you. With any crisis, the best way to hope to stay calm is to educate yourself prior to any emergency, so you know what to do. The same applies to a dental emergency. If you have already trained yourself on the proper steps of how to handle a shocking injury, you’re much more likely to be able to make it to the office of Celina, TX emergency dentist, Dr. Angela Ganjoor, in an expedient manner. 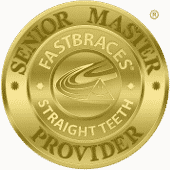 Generally, you won’t feel a cavity until it has gotten extremely advanced. This is unlikely to happen if you keep up with your biannual checkups. However, should you end up with tooth decay that falls through the cracks, resulting in sudden intense pain, call Dr. Ganjoor right away to arrange an appointment. This goes without saying for any dental emergency, naturally. 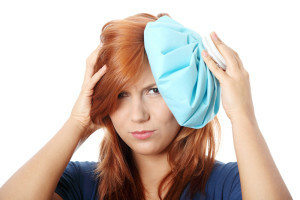 While you await your appointment, or if you can arrange a ride so that you can treat the pain on the way to the dental office, you can try icing the area or applying clove oil as a natural pain reliever. If you have a dental restoration (filling, crown, or fixed bridge) become dislodged, directly before a big event, job interview, or day of work that you simply can’t miss, you might be able to fashion a temporary fix. Using a small amount of denture adhesive, a visible veneer, crown, or tooth-colored filling might stay in place long enough to get you through a few hours without embarrassment before you make it in to see your dentist for a more permanent solution. This should be done carefully and at your own risk, however, and will not provide a long lasting solution. To schedule an appointment, call our Celina, TX emergency dentist. Also, visit the website to view services, print patient forms, or see our smile gallery. We proudly serve new and existing patients in Prosper, Frisco, McKinney, Gunter, Pilot Point, Anna, and the surrounding areas.